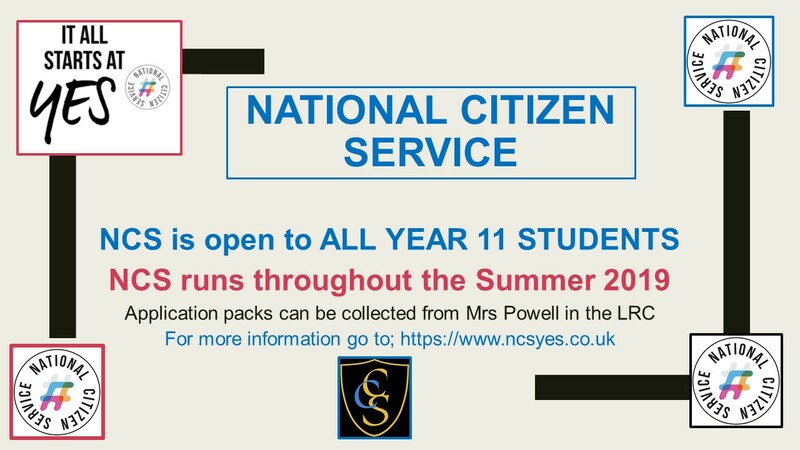 The National Citizen Service is open for Applications! "NCS is an experience designed to make you feel challenged and changed, engaged and empowered. The four-phase programme is just the beginning of an exciting journey that will give you all the confidence and skills you need to seize the future you want." Find Mrs Powell in the Library for an Application Pack.